Stupa Sofia was built at Retreat Center Plana in the summer of 2015 by Diamond Way Buddhism practitioners. Stupa is a special Buddhist monument that reminds sentient beings of the perfect nature of mind which is inherent to all. It symbolizes the body of Buddha in meditation and this is reflected in its internal and external structure. Buddhist stupas symbolize the perfect harmony of the universe. They are not simply constructions made of concrete and stone, but are actually a manifestation of the joy that can bring benefit to all sentient beings through development of compassion and wisdom. Their lively energy permeates everywhere to bring peace and love to people and the planet. According to the Buddhist tradition, stupas bring happiness, fulfill the wishes of people with good intentions and protect the world from calamities and conflicts. According to the Buddhist teachings, there are eight kinds of stupas. Each of them represents an important event in the life of the historical Buddha Shakyamuni. The Enlightenment Stupa (Chang Chub Chorten in Tibetan) symbolizes the moment when Buddha reached Enlightenment – the nature of fully awakened mind. Each of the eight different kinds of stupas is constructed according to very precise instructions, as specific proportions and construction should be followed. Stupas are then activated by qualified lamas through powerful ceremonies. 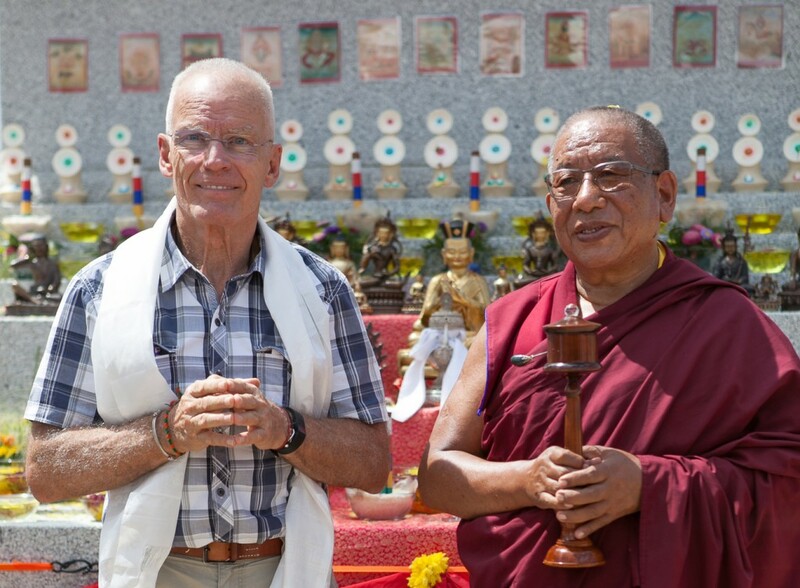 Already during his first visit to Retreat Center Plana, Lama Ole Nydahl said that an Enlightenment Stupa should be built there and pointed its location. Afterwards, another special guest, Sherab Gyaltsen Rinpoche, gave his blessing for the stupa and later on agreed to be the spiritual and practical guide for its construction and inauguration. 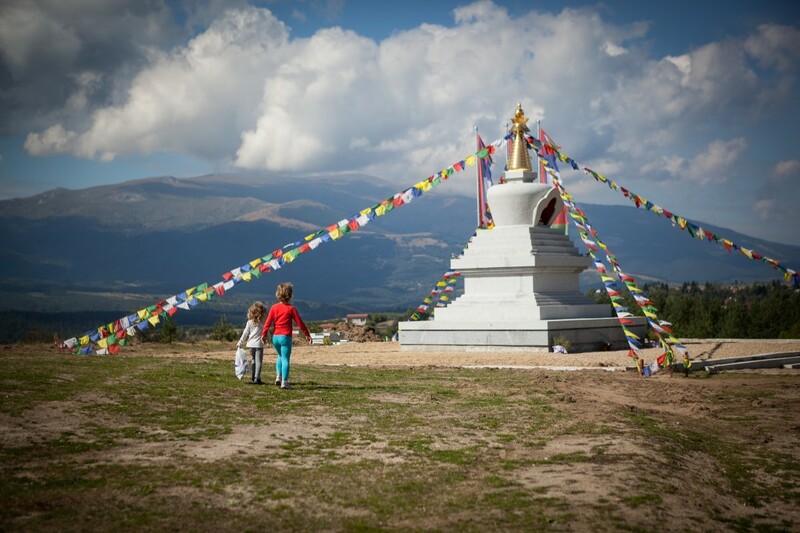 Inspired by the words and support of the lamas, the Bulgarian Diamond Way Buddhist group, along with the international Sangha, started the preparations for Stupa Sofia in 2013. The active phase of construction took place in August 2015. 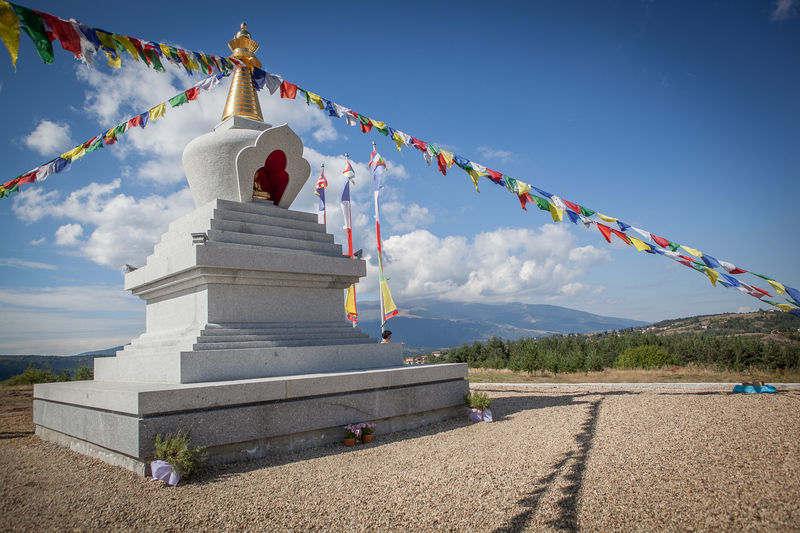 It was completed with a ceremony on 14 August 2015 when Sherab Gyaltsen Rinpoche and Lama Ole inaugurated Stupa Sofia. Retreat Center Plana is situated on an open plateau in Plana Mountain, where a gorgeous 360° view reveals the mountains Vitosha, Rila and Verila. This is the place where Stupa Sofia was built in 2015. 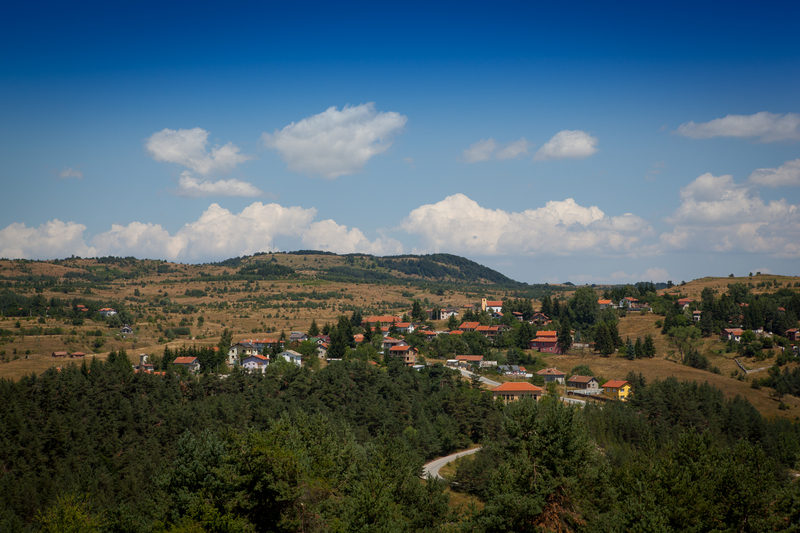 The inspiration for finding a retreat center near the Bulgarian capital, inhabited by over a million people, naturally, comes from Lama Ole. His advice is that such centers are very important for modern people who need peaceful and easily accessible places in nature in order to perfect their meditation practice. After many good signs during the process of searching for a place, the site was found in Plana Mountain. The retreat center and its surroundings are auspiciously situated according to the the Karma Kagyu tradition. The development of the center began with a beautiful field on which gradually appeared a gompa (hall for meditation), a living house for the Sangha, houses for the lamas and, as a culmination, Stupa Sofia. This principle of development, typical for all Diamond Way Buddhist centers, takes place with the participation of all practitioners, visitors to the centers, sponsors and many small donations from all involved in the idea. If you would like to support the project financially, you can make a donation online or via bank transfer. Thank you for your generosity! 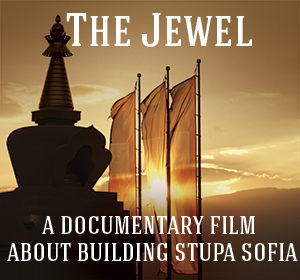 For more news about the project, make sure to follow Stupa Sofia on Facebook.